The Greek warriors in Varathron are back in the circus ring to give another display of Hellenic black metal. My relationship to the veterans was documented in Norwegian in connection with their previous album. Despite some remarks, I basically had a taste for both the album and the subsequent EP. Admittedly, the album Untrodden Corridors of Hades was somewhat disappointing, partly due to expectations. The The Confessional of the Black Penitents EP, might not have been mandatory, but with its historical perspective, it became an interesting rarity. 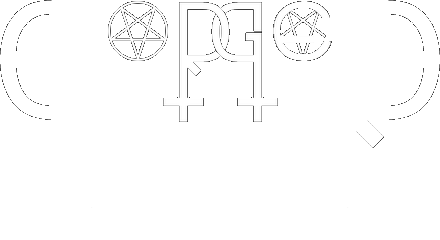 Patriarchs Of Evil anew gives a sense of something brewing. Occult séances and black magic in combination with smouldering dissatisfaction can be a potent blend, a recipe for danger. Some easily loses their temper. Some quickly go too far. Irreversible actions are performed. 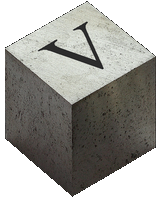 A fatal process takes effect when the first domino tile tips over. In a world of infinite possibilities, this is only one of countless potential tiles placed first in a series of inevitable consequences. The final outcome in this case is an absolute downfall, but that's another story. On the surface, Patriarchs Of Evil is smouldering with emotions. Moods of dissatisfaction, negativity and revenge shine through. Below the surface, other moods lurk. A feeling of bodeful drama on the horizon, gives rise to uneasiness. A sensation of unnerving side effects, of unexpected upheavals that'll trigger hysterical conditions and panic, hectic mass exodus and all-encompassing destruction. But all of this is just an omen, a forewarning of a potential outcome. So far, thoughts of revenge linger and seethe while the uninitiated are unaware of the approaching peril lying in wait. The vocal recites ancient and forbidden formulae that bewitch the sender as much as they curse the recipient. While dark clouds accumulate in the distance, a butterfly is scared off by dominoes plunging to the ground like dead soldiers. The ever-increasing sound of rites declaimed in diabolic ecstasy, causes our winged insect to flap around in confusion. An extra powerful wing-stroke in shear fear, makes up the microscopic contribution that tips the scale. A slight breath of wind that gives the final crucial contribution to a brewing storm. 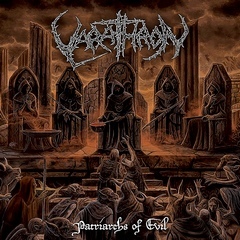 With Patriarchs Of Evil, Varathron delivers one of their better works. 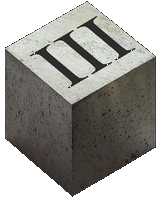 Melodies, rhythm and structure help create a panoptic mood of imminent impending doom, and to preserve this illusion of catastrophic danger on the cards, throughout its three quarters of an hour, right up till the very end. Ihsahn has arrived at his seventh solo album. Which just goes to show that I've long since lost count. The Adversary was a great piece of prog metal. After that, my impression has varied, although the living legend admittedly always delivers in an impressive way. Das Seelenbrechen (2014) was the last album I caught. Thus I missed out on two years old Antarktis. My impression of Das Seelenbrechen was rather limited. After many years and all kinds of impressions from Emperors's former composer, I approach Àmr cautiously and with an open mind. 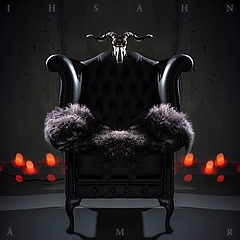 With Àmr, Ihsahn moves ever forward in his quest for diversity and creative challenges. The album ain't too easy to describe. Large amounts of synth settles over the private sphere like a blanket, wrapping the listener into a woolly, ambient bubble. Elements of dark ambience and techno form a new framework around more familiar landscapes of calm riffs. 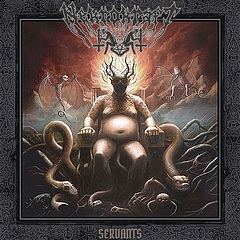 Strangled, half-black death rattling, the way only Ihsahn sounds, blends with cleanly articulated vocals. Progressive heavy rock with a metallic slant is wrapped in jazzy synth, and choked without becoming gagged. In this alienated waters, a sense of the experimental spirit of the 70s, in combination with the digital development of the 90s, occur. Seductively eclectic, ravishingly surreal and at the same time curiously confusing. Àmr primarily consists of nine songs, lasting for 44 minutes. Unless you go for the digipak or vinyl version. In that case, the disc will last for 55 minutes, with the last 11 being the bonus track Alone. This consist of music becomingly set to the poem by the same name by Edgar Allan Poe (which is considered originator of several literary genres). At its best, Àmr is fascinating and comfortable, especially when the guitar is allowed to excel. Regrettably, everything doesn't please quite as much. 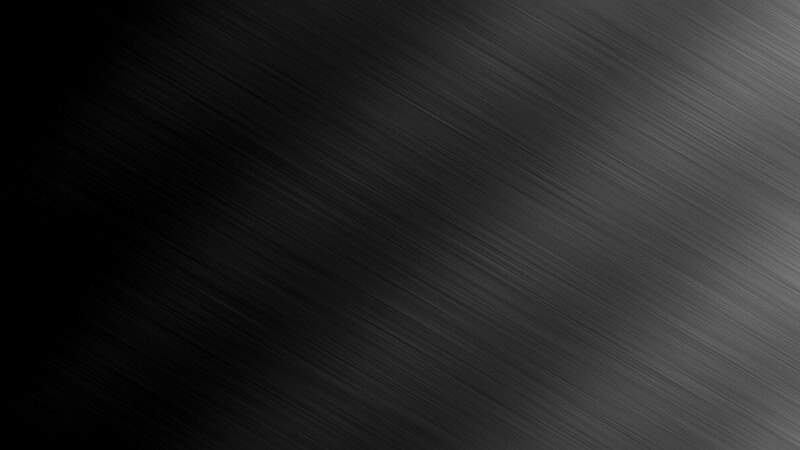 Parts of the material cross an invisible but clear line. When the material becomes too poppy, it feels as if nature is not the only area littered with plastic. With its dark moods, the song One Less Enemy becomes an immediate favourite. Based on objective qualities, Ihsahn must again be said to succeed in all aspects. However, music is just as much, or even more, about subjective, “sonically aesthetic” values. On that level, Àmr don't manage to get this listener to attach emotionally to it. The following songs unfortunately can't be streamed via other sites than YouTube. See the promotional video for Arcana Imperii, and the lyric video for Wake. Swedish Nekrokraft was crafted in 2012, and have just released their second full-length. Servants were conceived during the freezing midwinter of last year in East Gothland. They've brought along negative temperatures and blizzards, and are thus ready to spread their frost with the freezing winds. There goes that spring sensation, dammit. In the same way as the pain is burning when the ears are exposed to icy winds, you're at risk of charred ear canals by the flaming black/thrash ice-gust of these Swedes. Nekrokraft ain't as necrotic as the name might suggest. It's the burning sensation that mostly manifests itself on Servants. The guys play melodically, but to the highest degree warlike black metal, with a thrashed demeanour. That they incorporate tasteful drips of synth as seasoning, certainly does not put any damper on their ill-tempered and hostile attitude. The band is fronted by rasping vocals from Angst, vocalist in Witchery. Nekrokraft combines rawness and punch from warmongers like Marduk with a mighty atmosphere of Lucifer's throne. The music is rather simplistic and straightforward, but as it's virtually hard as the nether millstone, that doesn't matter too much. However, lack of depth in the diabolic moods and substance in the compositional structure of the material, in any case prevents the music from being labelled as mandatory. New day, new debutants. This time from Germany. 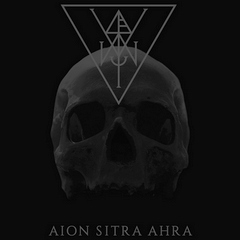 The basis is funeral doom, but the album Aion Sitra Ahra avoids both single-minded genre approach and mono-tonous appearance by adding variations to both style and execution. Adversvm was started by vocalist, guitarist and bassist S.G. in 2015. Along with him, is an unknown number of session musicians, who takes care of drums, synthesizer and programming. Two songs were presented as a demo a year ago. Now, time is ripe to unleash all these nightmarish tones. The music's viscous and resounding tones are infected with ominous and malicious energies. A haunted mood permeates the music. Deadly riffs and an eerie, coal black atmosphere, drags Adversvm's funeral procession towards black/death/doom. Instead of just shaping the music as a steady stream of gradual change, like the calm, ebbing waves through the phases of the tide, the riffs are renewed to ever changing rhymes. The performance of the music is dynamic and really comes to life when these obscure Germans conjure up their tones from the grave. Among the four first tracks of the album, we find a short interlude and three lengthy songs of about 10-12 minutes each. After these, two tracks at about 6 minutes each follows. In the first of the two latter, a doomsday preacher exhorts about the existence of hell and its torments. The last track, however, consists only of ambient “cosmic noise”. 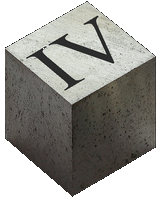 In total, Aion Sitra Ahra lasts for 48 minutes. The music can't be said to be strikingly original in 2018, but when the quality of the nefarious dystopia is this good, both in sound, infernal moods and execution, then at least I thrive well. 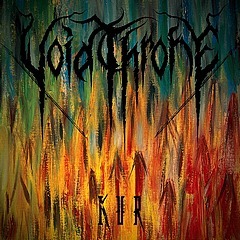 The atonal black/death ensemble Voidthrone from Seattle is out with their second album. When I received the promo for Kur, I noted down the word EP, followed by a question marks, as I suspected that someone had simply forgotten to mention it in the press-release. It turns out, however, that Kur is a short full length with four tracks over the course of just 24 minutes. That's enough, though - the music taken into account. After an ethereal intro characterized by various strings with reverb, the rest of the duration is divided over three songs. With these, Voidthrone seeks to explore isolation and desolation. Something that quickly leads them into dimensions distinguished by sonic chaos. Although some structure occur, nonsensical dissonance is what leaves its permanent mark on the listener's mind. It's claustrophobic as being locked in a suitcase, and I feel dizzier than a shuttlecock in a dryer when seasoned baggage handlers takes care of the luggage according to unauthorized procedures and unregulated routines. If you can't get enough of this kind of discomfort, Kur will surely please you. Personally, I've heard disharmony performed with more adequate moods. When parts of the vocals are jarring in my ears, and the music's lack of substance in addition makes it a bit directionless, I'm not really going to miss this release.